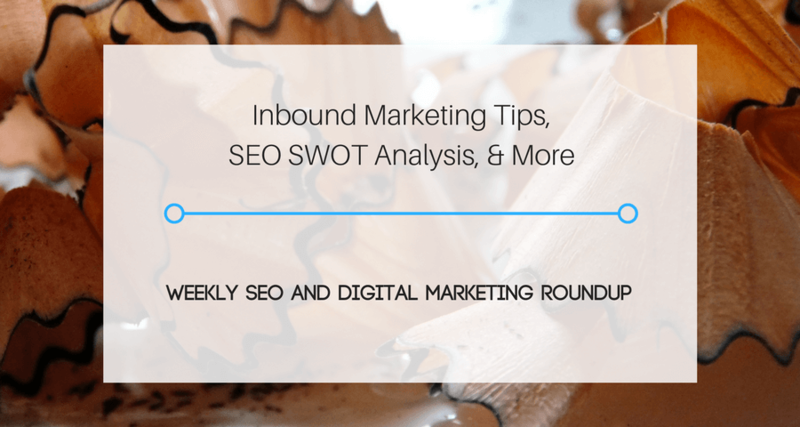 I put together weekly roundups of SEO and digital marketing articles that I find useful. 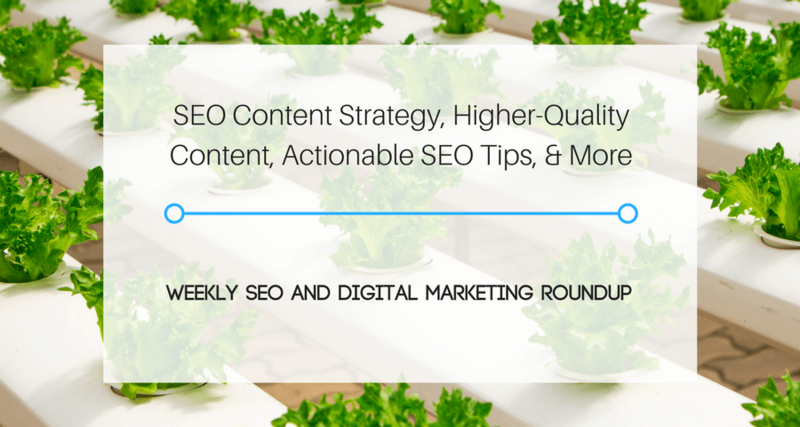 The roundups include SEO techniques and strategies that can help your campaign thrive. 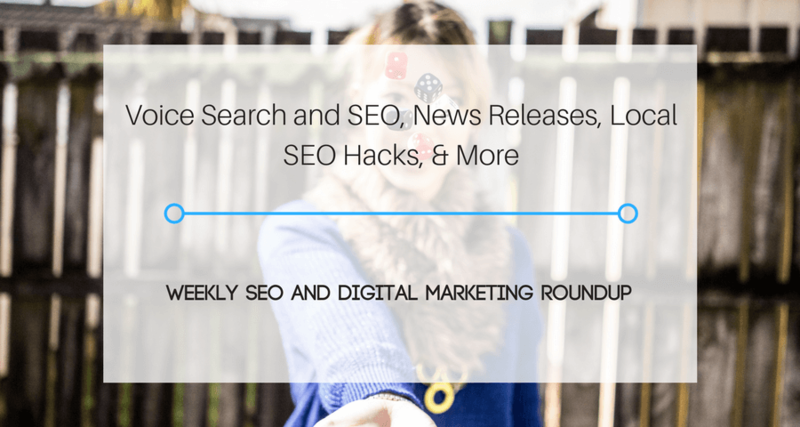 The roundups are also focused on SEM and social media marketing, as well as some inside baseball SEO topics. If you have articles you think I should include, feel free to contact me. I’m always open to suggestions! 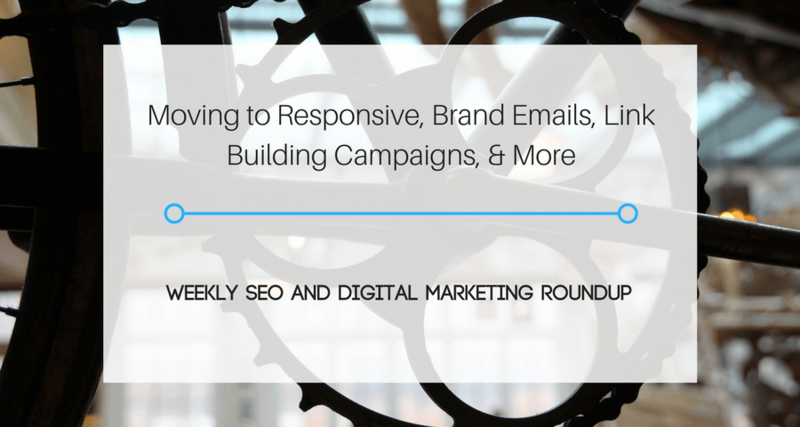 So I’ve been off the past couple of weeks and haven’t been keeping up with the weekly SEO and digital marketing roundup. There was Thanksgiving, side projects, my full time job, and, you know, sleep. But I’m back baby! 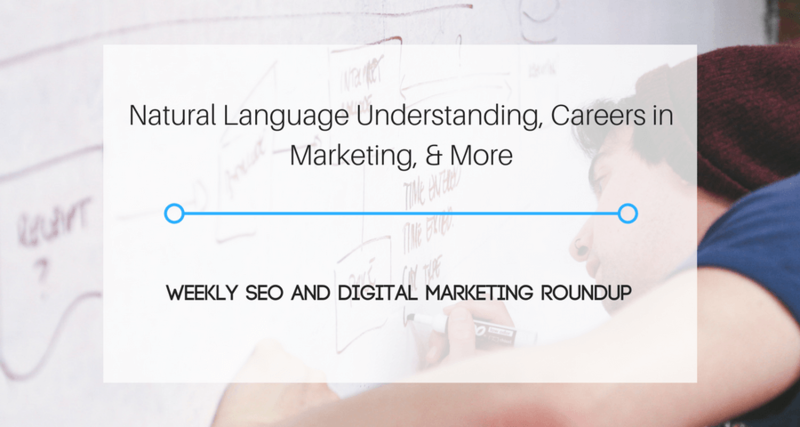 This is the second time I have featured Kerry Jones in my weekly SEO and digital marketing roundup, and she writes great stuff. 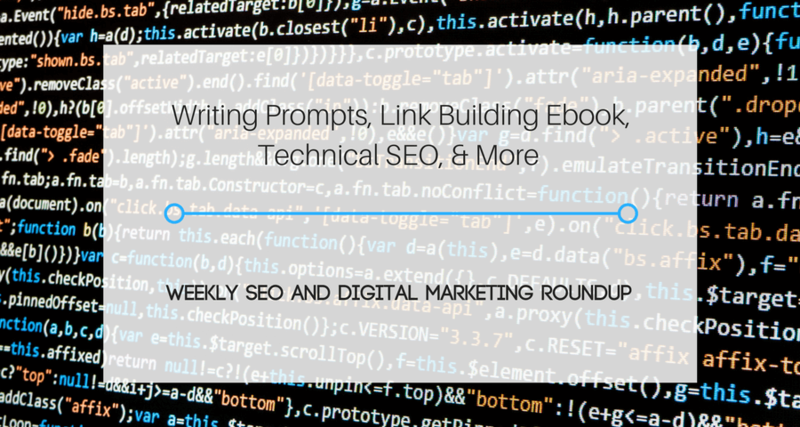 A lot of us SEOs are in industries that are maybe not the sexiest so creating engaging, linkable content about that industry can be difficult. 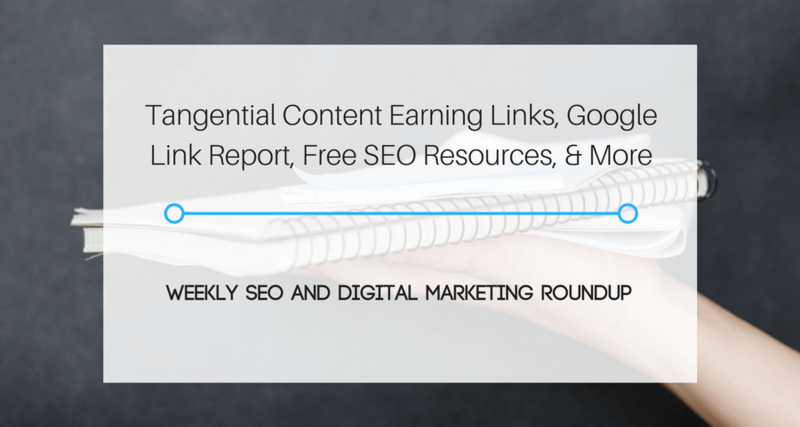 This article argues that we should be using tangential content, which is content that is somewhat related to your industry. 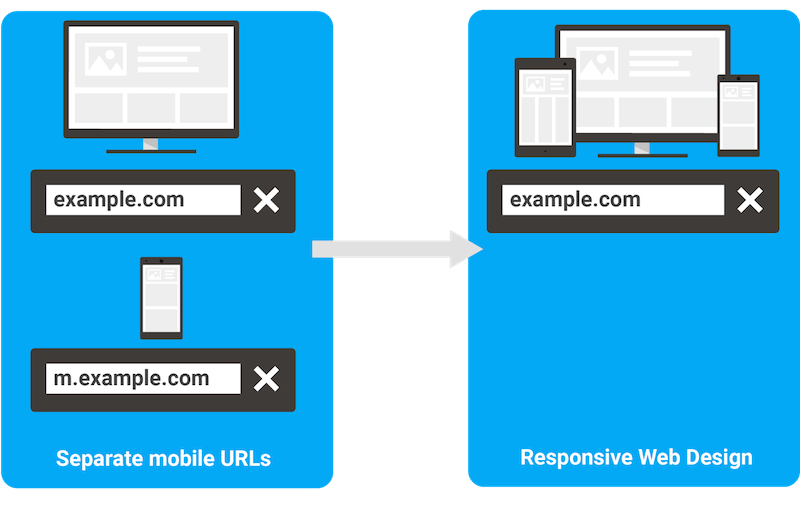 There’s plenty of reasons to move to HTTPS, it’s going to help you with rankings and give your the site the needed security it needs. But it can be a bit daunting to actually make the switch. I know I put it off because I worried I would screw it up. And guess what? When I made the switch I screwed up. That’s why I wish I had this guide that walks you through every step and gives you a detailed checklist. 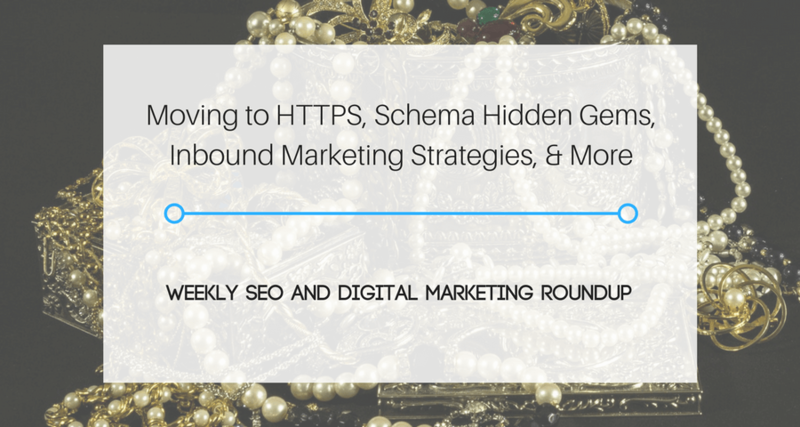 Best of luck on your HTTPS migration! This article, if true, is a fantastic case study of why you you need to understand your audience before you make a big business decision with your website. 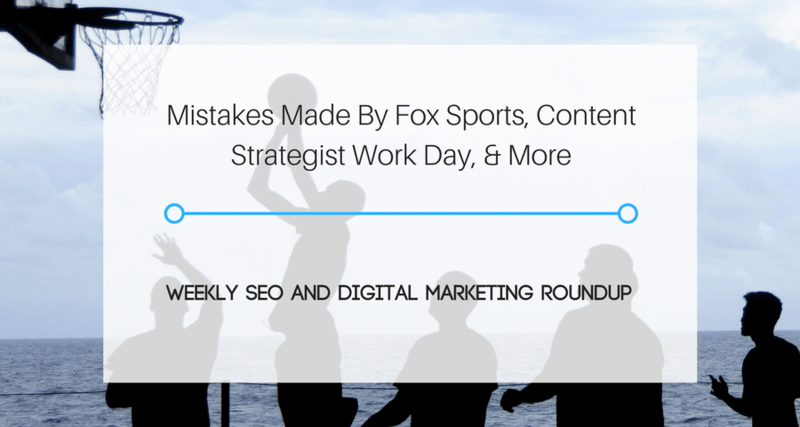 Fox Sports made the decision to pivot to video and in the process their traffic dropped 88%. I’ve got to do a quicker post this week unfortunately, but it’s for a good reason. I’m headed out of town to celebrate my anniversary! We’re going to Milwaukee, which is really like a smaller Chicago, but I spent a lot of my childhood running around the city and going to Brewers games (Go Brewers! As of this post we’re only 3.5 games behind. We’re going to a game this weekend and I’m hoping we can close that gap a bit). We’ll be hopping around the lakefront and different breweries and basically just enjoying the Wisconsin of it all. If you have suggestions on something you think I should check out while in Milwaukee, get at me on Twitter! My main concern is getting my cheese and sausage game on across the border. I don’t think we’ll have a problem that! Anyway, here’s what I’ve been reading this week, and what I think it worthwhile for you to check out.